My journey to tenkara is likely very similar to that of many other fishers. I have always loved fishing waters that were smaller, more challenging and much less pressured than most other streams. Over the years I modified my tools and techniques to help me in my quest for fishing small streams for wild native trout in the Intermountain West and Yellowstone ecosystems. 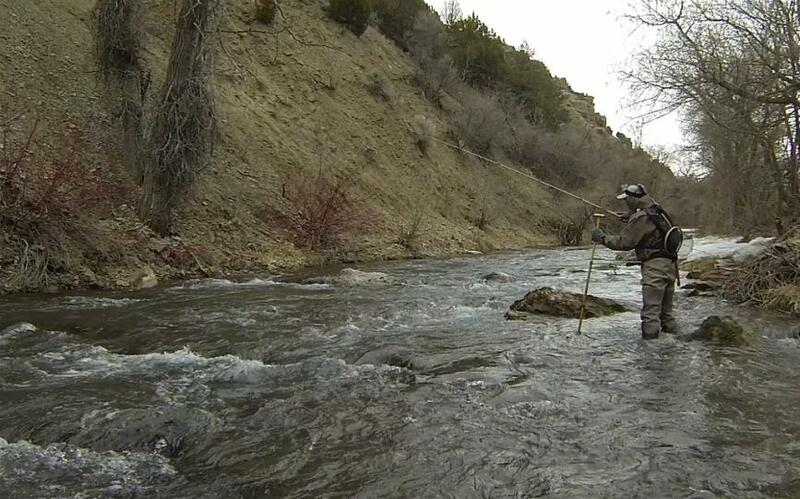 Like many tenkara fishers, I have been western fly fishing for a number of decades. 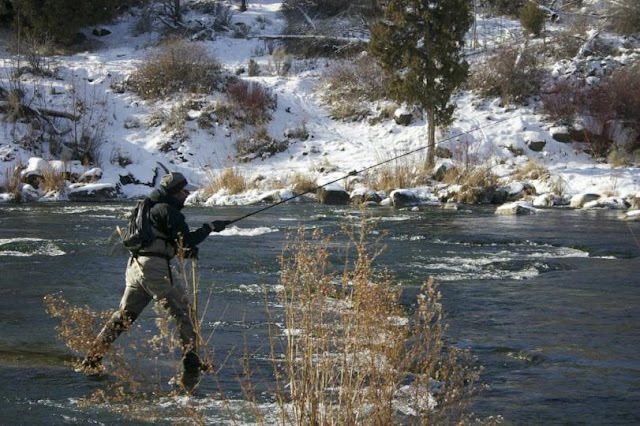 I first became interested in fly fishing in the early 1970s when I took a class in junior high school on fly tying. 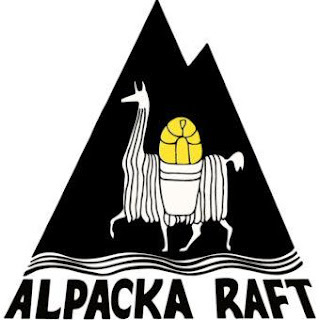 After just a brief introduction to this art form I desired further exposure and so my parents arranged for me to have private fly tying lessons from an elderly man in our town. So, while many kids had after school music or sports lessons and activities, I once weekly had a 2 hour fly tying lesson — assignments, new concepts, practice, and so forth. Years later I would tie commercially for fly shops around the west, often receiving requests for 30-50 dozen of “such and such” fly. It was a great way to learn technique, but a poor way to make money! Although I was tying at an early age I did not actually fly fish until much later. It wasn’t until I had more time and money that I started fly fishing. My early exploration included float tubing high mountain lakes in the Cascades and some fishing of larger western rivers, but it was the smaller streams that excited me. But fishing smaller streams with western gear often turned out to be so challenging that over time my interest began to wane and I turned my energies elsewhere. 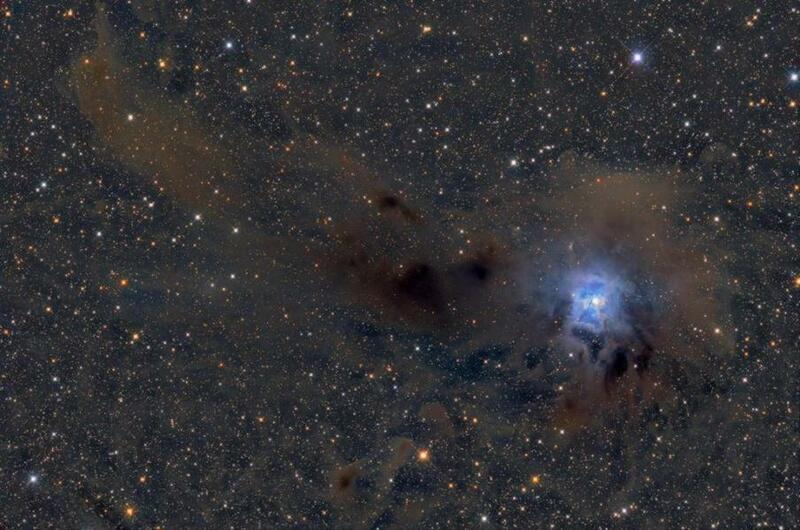 For many years I focused more on astrophotography and imaging previously undocumented reflection and dusty nebulae of the northern and southern hemispheres. From this effort I was able to publish dozens of images in magazines, text books, scholarly journals, etc. Yet as the years went by I missed the outdoors and yearned to rediscover fly fishing and reconnect with the streams that I had so often previously enjoyed. Then in 2011 I started investigating tenkara. 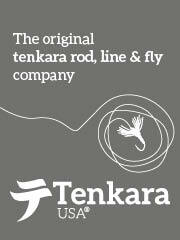 After reviewing much of the available information online from Tenkara USA and others, I finally bought my first rod. My first attempt at tenkara was on a cold winter day early in January of 2012. The air temperature was well below freezing and the water appeared to be steaming from the relative warmth of its spring fed flows. I had fished this water in similar conditions many years in a row but had been frustrated by the icing of the line and rod and the difficulty in controlling the fly through challenging currents. However on this occasion I was using a 12’ TUSA Iwana, and 10.5’ furled line. I quickly learned that with this set up I could easily manipulate the #20 BWO emerger much better than I ever could before with my western gear. Within minutes I hooked more fish than I had previously done on this water. I was delighted! It was then that tenkara really began to intrigue me. 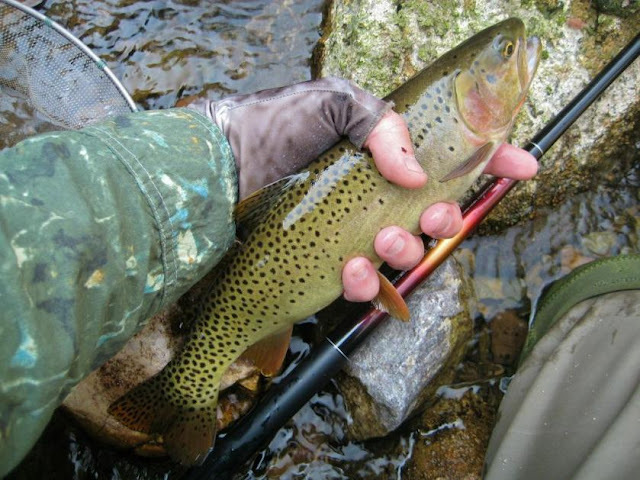 That spring I fished many other waters but it wasn't until I took tenkara to a small mountain stream that I began to appreciate its full potential for my style of fishing. 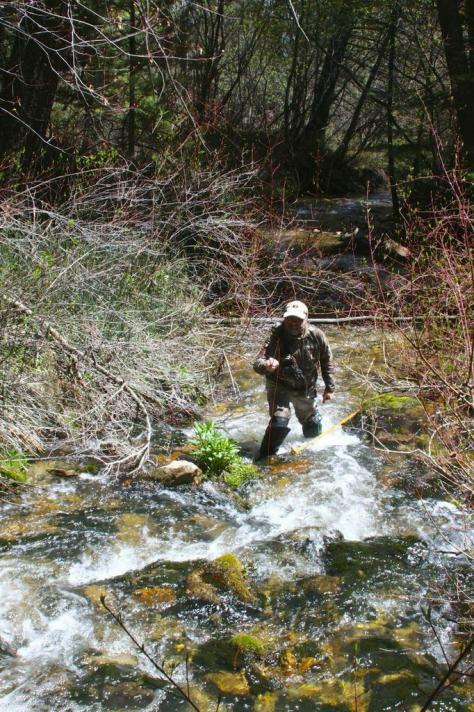 I remember fishing a moderately high gradient mountain stream with a 8’ 3wt rod. Although the rod fit the water, it could not provide enough reach in many situations to keep the line away from the drift damaging currents. I spent most of my time fishing with all but 4-5 feet of my line inside the tip of my rod trying to keep the effects of drag at a minimum. Even at that I could not manipulate the line as well as I would have liked. I hooked a few fish, enough to keep me going, but I found the whole exercise somewhat frustrating. The spring after I started tenkara I revisited that stream. By that point I had also switched over to using a level line. As I worked my way through the familiar reaches of the stream I took trout in pocket after pocket. In fact, I took more trout out of that stream in that one session of tenkara than in all of my previous fly fishing sessions on that stream combined. I was utterly convinced that tenkara was a superior way of presenting a fly on the small streams I so enjoyed fishing. I have never looked back. 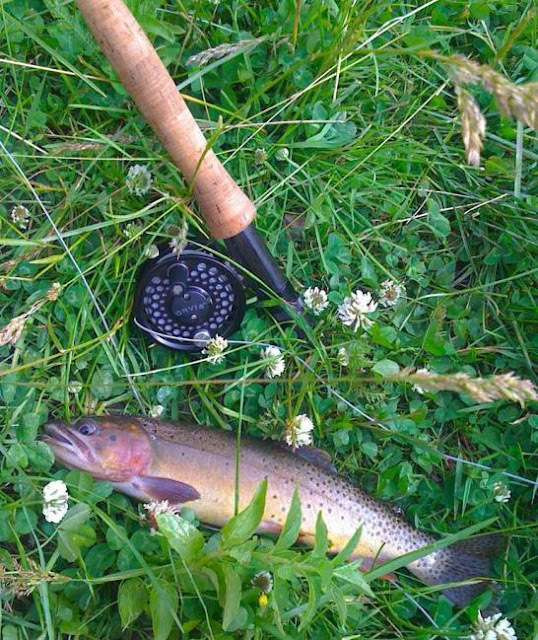 As I have continued my journey to discover my own tenkara I found that I like analyzing equipment, particularly rods. 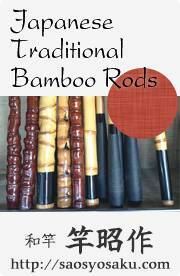 To date, I have owned and fished with 55 different fixed-line rods. This has given me a wealth of experience, feeling the difference between rods made by various companies for various fishing situations. I also enjoy sharing what I learn and so I publish my rod reviews for the benefit of those curious about a certain rod but unable to “buy it and try it” themselves. Since rod reviews are inherently limited by the shortcomings of the reviewer, I have tried to be objective and categorize rods using certain easily reproducible measurements that have some basis in standardization in the industry. Two of these are the Common Cents System of rod flex and the Rod Flex Index. The Common Cents System (CCS) has been adopted to attempt to standardize rod flex by using easily obtained weights (pennies minted after 1996). It was developed by Dr. William Hanneman and estimates the flex of a fully loaded rod via a static method. It does not, however, measure the rod’s dynamics or a rod’s “feel.” A rod’s feel is very subjective and varies widely from person to person. The second measurement is called the Rod Flex Index (RFI). This is simply the Common Cents measurement for any given rod divided by that rod’s length in meters. This simple ratio helps adjust the flex of a rod to its length and allows the rod to be categorized with rods of a similar RFI score. 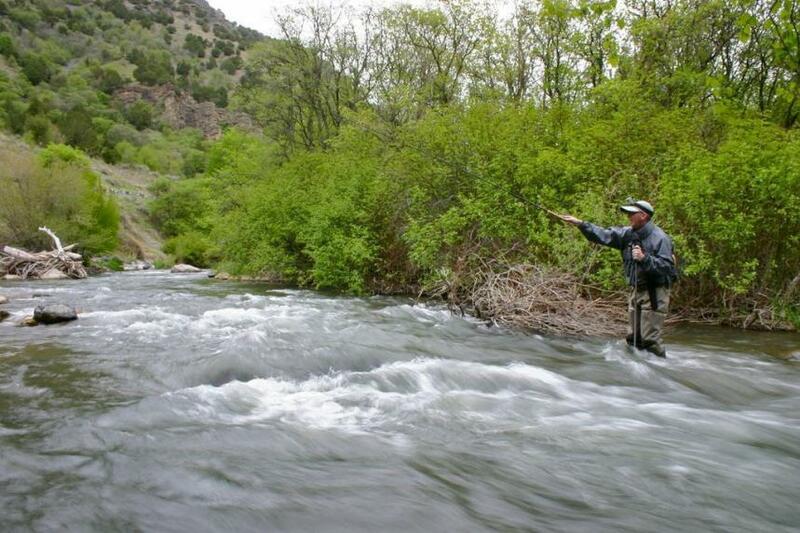 Using these two simple, easily performed and reproducible measurements, a tenkara fisher can estimate how a rod might feel when compared to other rods. These measurements are completely independent of the 5:5 - 6:4 - 7:3 system used by some tenkara rod companies. I have always affirmed that there is no better way to assess the true dynamics or feel of a rod than by casting and fishing with the rod, but many people just don’t have the inclination, resources or time to buy and test all the rods they are interested in. The CCS and RFI gives them at least some standardized information by which to begin to judge a rod. 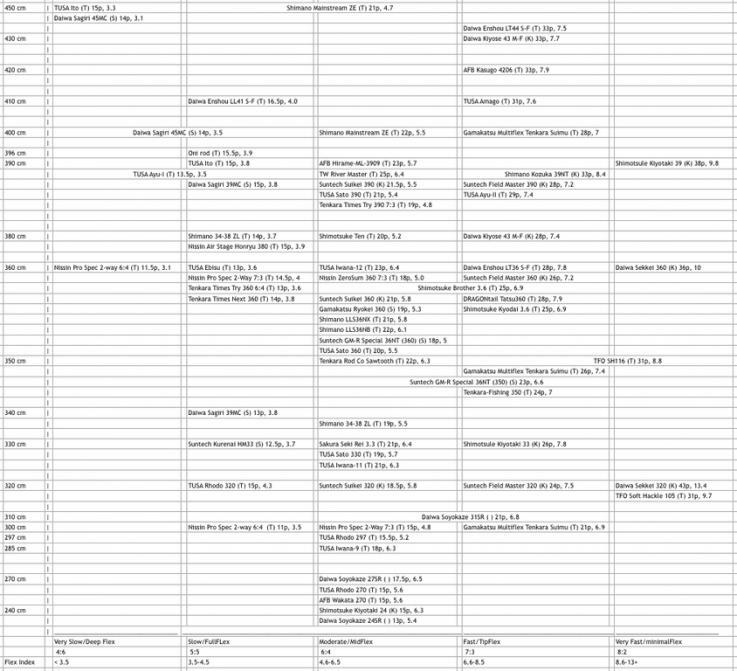 These measurements are not perfect, but they are a start. Another part of my tenkara journey is my tenkara journal. 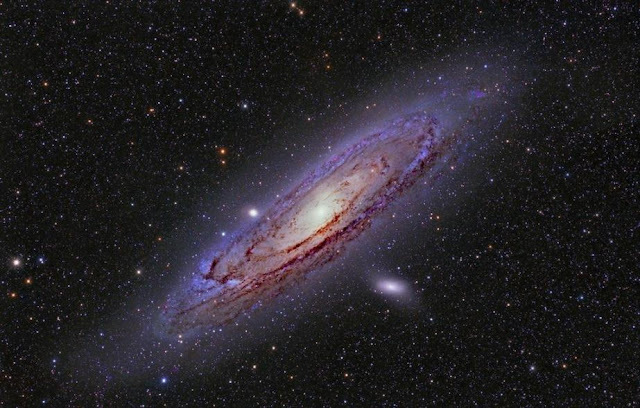 I have always attempted to chronicle my experiences, whether it be fly fishing, astrophotography, medicine or whatever. 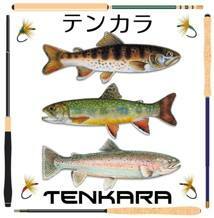 Tenkara is no different. 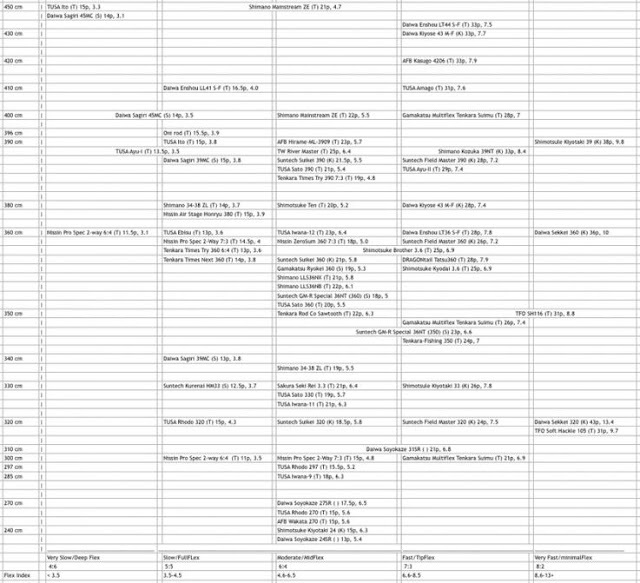 So, to aid in keeping track of my own tenkara experience I started an online log. 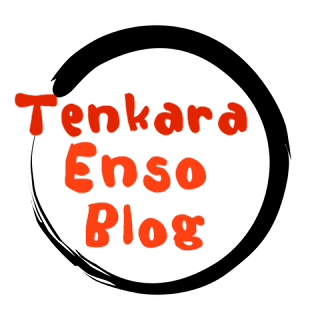 My journal, Teton Tenkara, is not designed to be the most all encompassing or thorough blog regarding tenkara; there are other blogs for that. Rather, it is a journal of my own experiences with tenkara, its methods or techniques as they work for me, various equipment, flies, lines, etc. It is a way for me to both organize my thoughts and share what I have found; per chance the information may be useful to others in their own tenkara journey. I have enjoyed sharing my experiences with others and I have some hope that the information is of some benefit. So what have I discovered as I have made this journey? Since transitioning to tenkara I find that I prefer to fish subsurface 90% of the time, whereas before, with western gear I mostly fished dries. I fish upstream the vast majority of the time. 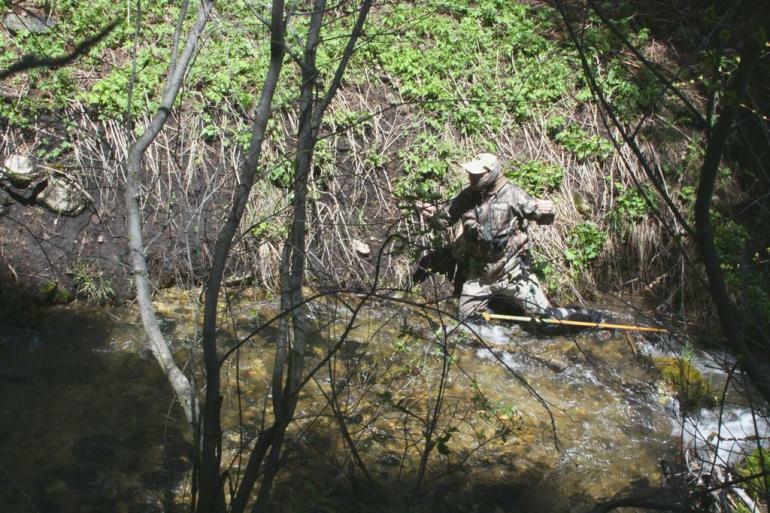 This approach yields more trout for me, but I will occasionally still fish downstream, under what I deem to be the right circumstances. I have found that I generally prefer rods which are faster or have a higher RFI rating, but I still enjoy the feel of a slow rod as it unloads a very light weight level line. I also prefer a level line over any furled or twisted line I have fished. And finally I prefer stalking small streams and hunting small fish — native, wild trout, particularly cutthroats. With tenkara I catch more fish. I catch them sooner and release them more quickly. 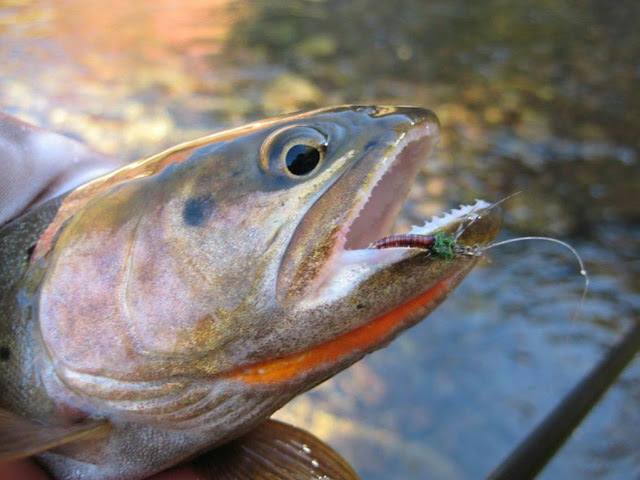 I am a much more confidant fly fisher and have even reached a point that if I haven’t hooked and landed a trout within the first ten minutes of arriving on the water, I become somewhat disappointed. I guess you could say that tenkara has spoiled me! Yes, tenkara is really that good. It’s not me; I am no expert. It is not the fly. It is not the water. To me, it is the overall package: a rod that can manipulate and control the fly in situations that challenge traditional western methods on waters that can be very difficult to fish, and a line that is easy to keep off the water and avoid drag. I will continue my journey to find my own tenkara, to chronicle what I find and share it with those interested. Will my findings and preferences be the same as yours? I doubt it. Just as we are all unique, so will our own tenkara be individual. Some prefer to go traditional by study of the Japanese methods under the hands of those that have practiced tenkara for decades. Others prefer a more modern or progressive approach by adapting non-traditional equipment and methods into their own tenkara. But as long as we share what we find we can help make each other better and enjoy our tenkara more, whatever our personal approach may be.